A series of black and white snapshots all with "The Den, High Street, Blenheim" stamped on the back, possibly taken in the 1930s. "Stronvar Wool". 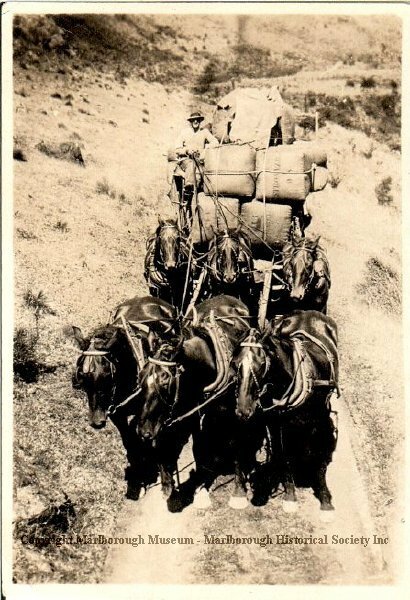 Shows another wool wagon and its six-horse team with the driver, wearing a white shirt, sitting in the driving seat, ready to begin the journey. Stronvar is in the Upper Waihopai Valley and from these photographs it appears that the wool is being brought down through the Awatere Valley.